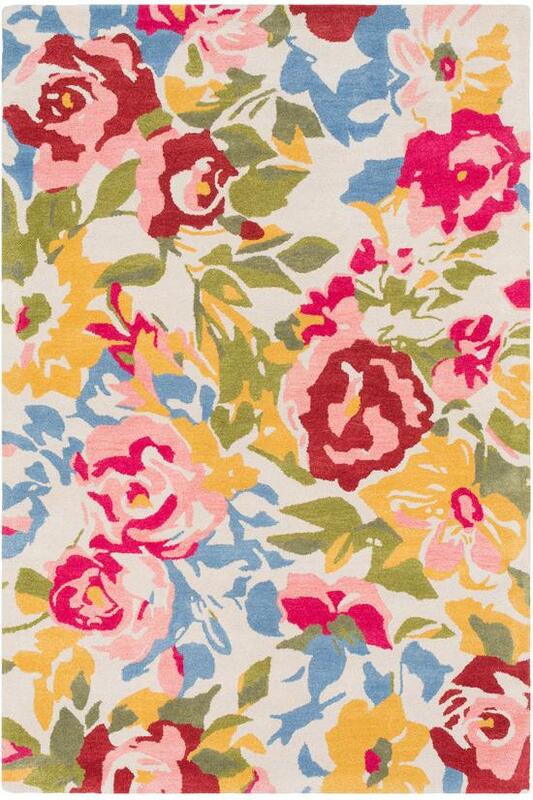 Forever in bloom, our Donostia Rug is a brilliant way to perk up your floor. Loomed of decadently soft, hand-tufted wool, grand-scale flowers flourish on the ivory ground in lovely shades of gold, pink, fuchsia, green and blue. Cotton canvas/latex backing.